The Diploma of Music is available by online study and supported through CQUni's Regional Conservatorium partnerships with Murray Conservatorium (Albury), Riverina Conservatorium (Wagga Wagga), Mitchell Conservatorium (Bathurst, Lachlan, Lithgow) and at our Central Queensland Conservatorium of Music (CQCM), at CQUni Mackay. You will be supported throughout your study and undertake one-on-one instrumental tuition with highly qualified regional conservatorium staff in classical, jazz or popular music. The Diploma of Music is available by online study and supported through CQUni's Regional Conservatorium partnerships with Murray Conservatorium (Albury), Riverina Conservatorium (Wagga Wagga), Mitchell Conservatorium (Bathurst, Lachlan, Lithgow) and at our Central Queensland Conservatorium of Music, at CQUni Mackay. This means that you will be supported throughout your study and undertake one-on-one instrumental tuition with highly qualified regional conservatorium staff in classical, jazz or popular music. You'll also study music theory, music history, music technology and instrumental teaching. This exciting course will expose you to a variety of learning experiences and you will benefit from hands-on experience combined with academic study in the interpretation and understanding of music. On successful completion of the Diploma of Music, you may choose to continue your study at the second year level in one of the specialisations within the Bachelor of Music degree. To gain entry into this course you will be required to audition. This minor is only available at the Mackay or Noosa campuses. This minor is only available on the Mackay campus. This minor is only available by distance education. This minor is available internally on the Mackay campus and also by distance education. Students may also study MUSC11409 Principal Music Studios 1 and MUSC11410 Principal Music Studios 2 at approved regional conservatoriums in New South Wales. You are required to complete eight compulsory core units. For information on the units, you could study as part of this course, visit the Handbook and select the "Course Structure" tab. If you have already completed study relevant to the course you have enrolled in, you may be eligible for credit transfer. To find out more about the audition process and requirement, click here. Students will be required to successfully complete an audition and interview for admission to the course. It is recommended that students have achieved at least an intermediate level of performance skill on their particular instrument or voice before auditioning for entry to this course. You may also pursue a music-related role in arts administration, communication or creative industries. What is a Commonwealth Supported Place? A Commonwealth Supported Place is subsidised by the Government so that you are only required to pay a Student Contribution amount rather than tuition fees. the holder of a permanent visa, including a permanent humanitarian visa, who will be resident in Australia for the duration of your unit of study. If you are not eligible for a Commonwealth Supported Place you will be required to pay tuition fees. Find out more about tuition fees or fees for international students. What is a Student contribution? As a Commonwealth supported student, you will contribute towards the cost of your education by paying a Student Contribution. The Student Contribution is calculated for each term of enrolment based on the individual units you have enrolled in, not the course you are studying. What is my Student Contribution? Your Student Contribution fee is charged per unit of study and is dependent on the Student Contribution Band for each unit. Student Contribution Bands are categorised by study disciplines and help provide an estimate of course fees. The majority of units within this course fall within Band 1. Some units may fall within Band 2 and/or 3. Student Contribution amounts for each band provide an estimate of the cost of your course. Your course may consist of units from more than one band so your fees could vary from the indicated amount as units are spread across a number of bands. You can view fees specific to the course, and units, you are interested in studying by using our Cost Per Unit table. HECS-HELP is the loan scheme provided the Australian Government to help eligible Commonwealth supported students pay their student contributions through a loan. a permanent humanitarian visa holder (visit homeaffairs.gov.au for the list of humanitarian visa subclasses) who will be resident in Australia for the duration of your unit(s) of study. Eligible students can use a HECS-HELP loan to pay for all or some of their Student Contribution amount. If you elect to use a HECS-HELP loan, this means that you will defer payment of your Student Contribution amount and repay your HECS-HELP loan when your income is above the compulsory repayment threshold (the 2018-2019 income year threshold is $51,957 or above). If you are not eligible for a HECS-HELP loan, or you are required to pay your Student Contribution upfront, you will need to pay your fees no later than the census date for the term in which you are studying. Other Fees You will also incur a Student Services and Amenities Fee. Other study costs You may have other study costs such as travel expenses related to residential schools or work placements if they are a requirement of your course. There are also textbooks, stationery and other sundry costs associated with studying. At CQUniversity, we believe University should be for everyone. No matter your situation, we know that everyone needs a helping hand from time to time and are proud to offer a wide range of scholarships and awards programs. Our scholarships could help you pay for some or all of your course fees, or even contribute towards your living and study expenses. If you apply via a Tertiary Admissions Centre (TAC) listed under 'How to Apply', please use the relevant TAC code listed above to complete your application. 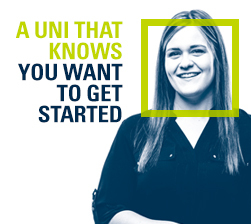 Between our reputation for learning, teaching and research, our renowned online education offering, and our status as Australia’s largest regional university, rest assured you will get a world-class education when you choose CQUniversity. 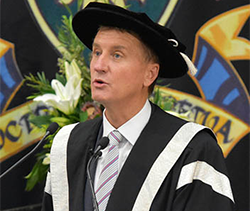 In just 25 years, CQUniversity has achieved some amazing feats and emerged as one of Australia’s truly great universities. We have been ranked among the best in the world for our teaching and learning, and are internationally recognised for our focus on Social Innovation. 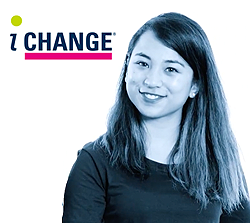 Our graduates are some of the most sought-after in Australia, due to our reputation for work integrated learning and industry-aligned courses, and experience some of the nation’s best graduate outcomes in terms of full-time employment and starting salary. CQUni is also regarded as the nation’s most inclusive and engaged university, with our award-winning academic and research staff making a real impact on the communities and industries we serve. A pioneer in online study, CQUniversity has more than two decades of experience providing high quality online learning experiences across the country and even internationally. We work hard to deliver the latest techniques in online study, and have even planned our physical sites to provide more services to our widespread online study cohort. CQUniversity is truly focused on our students’ needs, and that means responding to what, how and where they want to study. It is why we are now Australia’s largest regional university, with more than 20 metropolitan and regional locations across five states, delivering TAFE and university qualifications in on-campus, online and supported online modes to more than 30 000 students. CQUniversity’s strong focus on student experience ensures that you are prepared and supported on your student journey. Support services include on-campus or online orientation to assist your transition into university life, course and career advice, financial support options, study support, ongoing assistance through the Student Mentor program, counselling services, support for students with disability or medical conditions, Indigenous student support and more. This course is open for applications via the Queensland Tertiary Admissions Centre (QTAC). Register with us for an audition by completing the online audition form. Ensure you complete all boxes marked with a red asterisk (*) so we can process your application. Prepare supporting documentation in readiness for your audition. Supporting documentation including your artistic resume and any medical certificates required for your chosen course can be found in the auditions guidelines. Attend your audition in person or upload your audition online. have completed or are completing a prescribed* CQUniversity course. are applying for study with a CQUniversity Delivery Partner. are applying for a change of course or readmission. 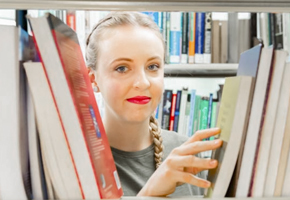 *A prescribed course includes our Skills for Tertiary Entrance Preparatory Studies (STEPS) program, Tertiary Entrance Program (TEP), Start Uni Now (SUN) initiative, or a CQUniversity certificate, diploma, advanced diploma, associate degree, bachelor degree, graduate certificate, graduate diploma, master or research higher degree. ** If applying direct, you will still need to register for an audition and complete Step 2 above. If you have any questions about the course, please call us on 13 27 86. You can also register your interest to stay up-to-date with course developments, application timelines and events happening in your area.